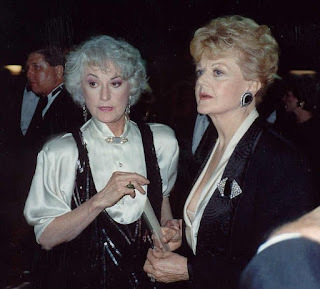 On September 14, Angela Lansbury will host a memorial for friends and family of Tony and Emmy Award-winning entertainment icon Bea Arthur (pictured right with Lansbury in 1989) at Broadway's Majestic Theatre (247 W. 44th St.). Directed by Mark Waldrop, Celebrating Bea Arthur will feature remembrances and performances from the late actress's family and friends, including Adrienne Barbeau (Maude co-star), Zoe Caldwell, Billy Goldenberg (Arthur's longtime accompanist), Sheldon Harnick (Fiddler on the Roof lyricist), Charlie Hauck (Maude head writer), Norman Lear (Maude producer), Clinton Leupp, Anne Meara, Rosie O'Donnell, Chita Rivera, Daryl Roth (Bea Arthur on Broadway producer), Jerry Stiller and Rue McClanahan (Blanche Devereaux on The Golden Girls). As reported on BroadwayWorld.com, the ceremony is to begin at 1 p.m. and seating is open to the general public on a first-come, first-served admission basis. For Whitney, a seven-year curse is over. 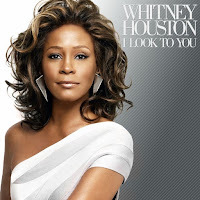 Her last album, “Just Whitney,” was a spectacular failure back in 2002. So congrats ... to Clive Davis. If Whitney looks to anyone, it’s to him. It was clearly Clive’s determination that he resurrect Whitney the artist, but also the human being. The complete story hasn’t yet been told how Davis got a fragile Houston into rehab and set her on the road to recovery. It’s a rare story of humanity in a business that is usually unforgiving. We couldn't agree more. Thank you so much, Clive Davis. Also, an FYI for you, Mr. Davis: if you're looking for your next discovery - here's someone you should meet! And finally, on a very sad note, Erich Kunzel, 74, Cincinnati Pop’s music man for more than 44 years, has died after a battle with cancer. 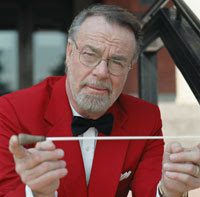 Orchestra members learned today that Kunzel died at a hospital this morning near his home on Swan’s Island, Maine. Information about memorial services was not immediately available. The Pops maestro is survived by his wife of 44 years, Brunhilde. For more information, including an in depth look at the Maestro's life and operatic roots, be sure to visit Cincinnati.com.